There's a pretty good chance that whenever you receive your energy bill in the mail, the only thing that you pay attention to is the amount that you owe (or perhaps that past due amount as well). However, being that there is a lot of additional information that's included on it, have you ever wondered what the rest of the data is showing you? If you've always wanted to have your energy bill simplified, this article will share with you how to read it better. 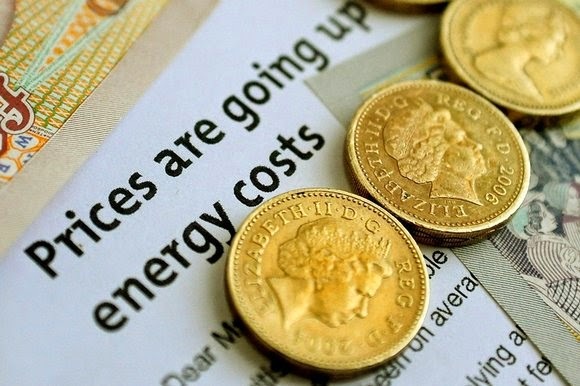 Plus, it will also provide you with a few proven tips on how you can save money on energy costs too. When you first open your bill, there are two numbers you should look for. Yes, one would be the amount that is due. The other would be what is known as the kilowatt-hours. It will appear as this: kWh. What it represents is the amount of energy that you've used at the time that the meter reader came to inspect your meter (which is usually every 30 days). Although there are some utilities within your home that are basically given a baseline price (which is a set price for a certain amount of hours each month that the utility is used), if you happen to exceed that baseline, you will be charged more money. That's why energy bills, on average, tend to be higher in the summer and winter and lower in the spring and fall. Do take note that if you happen to see a significant spike in your kWh from one month to the next, that could be an indication that you have an air or water leak somewhere in the home or that an appliance is not working properly. If that's the case, you should either conduct an energy audit or hire a professional to come and inspect your house as soon as possible. When it comes to finding ways to make your home more energy efficient , the good news is that there are several. You can install a programmable thermostat in order to preset the temperature that you want your home to be. You can add more insulation to your attic so that the rooms in your house are better protected from outdoor temperatures. You can turn on your ceiling fans in order to increase or decrease the temperature by a few degrees. You can have your HVAC unit inspected twice a year in order to make sure that it's working at an optimal level. You can put LED light bulbs in your lighting fixtures to save as much as 30-40 percent of energy. You can use natural light more often. You can check your windows and doors to insure there are no small holes and cracks; if you do happen to see some, you can cover them up with caulking so that you won't have any more drafts. You can also unplug anything that doesn't need any electrical charge (such as your refrigerator) overnight. By doing these simple things, you can easily reduce your monthly energy costs by as much as 35-45 percent. For more tips on ways to conserve energy, visit Energy.gov and put "conserve energy" in the search field.